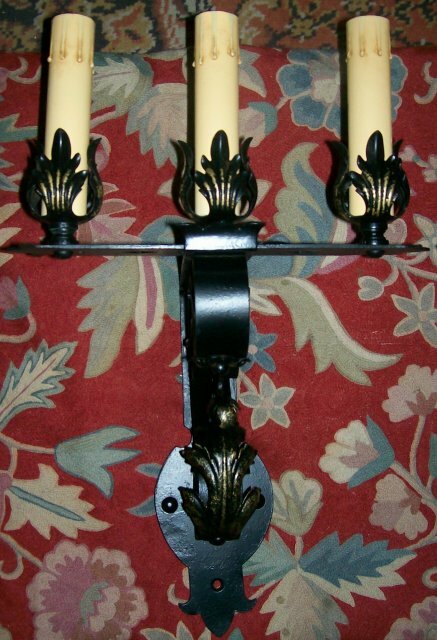 Set of 3 hand wrought electrified sconces from the early 1900's. 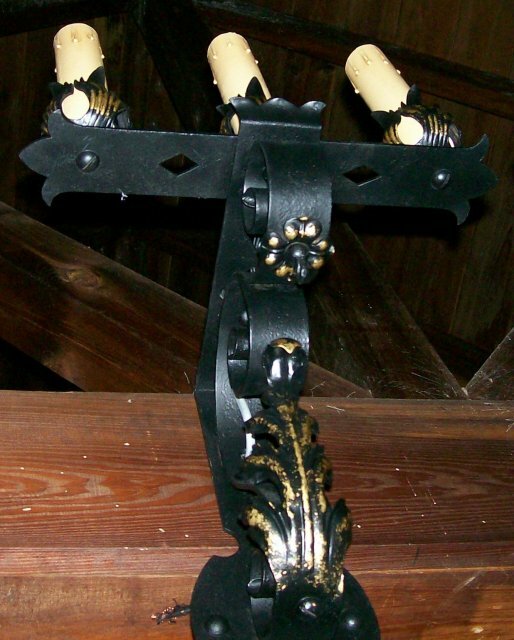 Black enamel finish with gold leaf accents. Completely rewired in 2010. 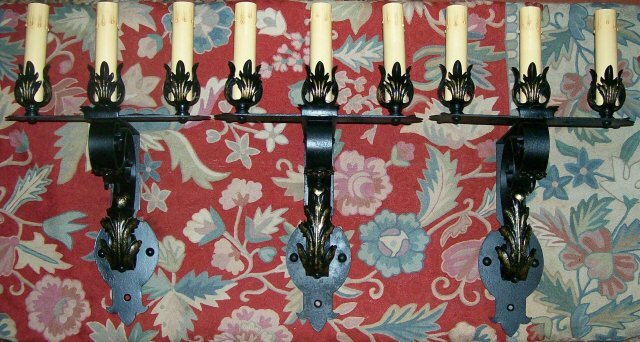 Each has 3 "candles" with fiber-drip candle covers. Each measures approximately 12"w, 9" projection from wall, 13"h backplate with overall height of approx. 20". Will require special packaging due to weight & size. Sold as a set of 3 (a rare find). Inglenook Antiques...Established 1989. 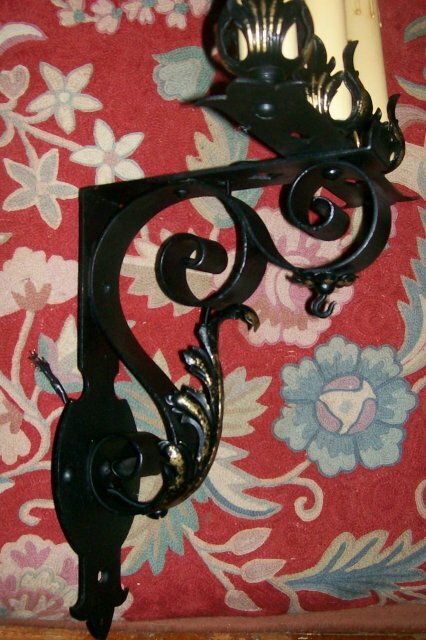 Items Similar To "Wrought Iron Sconce Set of 3: Early 1900's"